After 48 hours filled with excited speculation and the words "lens flare," Disney finally issued a statement on Saturday confirming J.J. Abrams as the director of Star Wars: Episode VII, where he will lens flare the next generation of the saga's lens flare, with all the lens flare that he’s lens flared over years of lens flaring. Ha ha ha, lens flare. Also, polar bears. 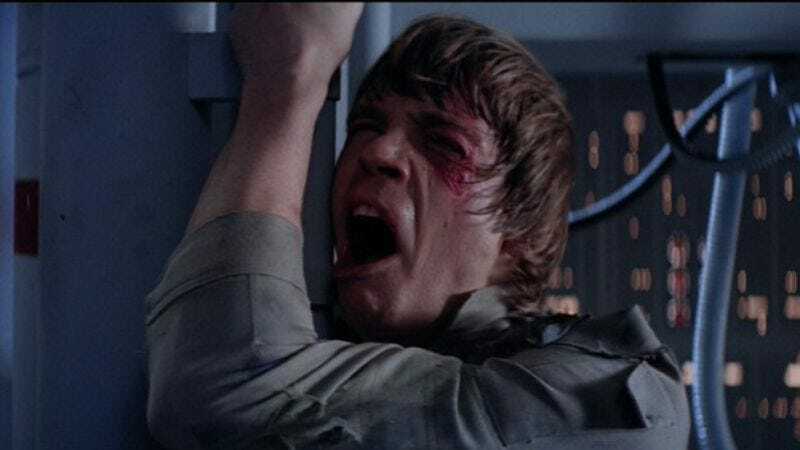 As previously reported and rumored, Michael Arndt will write the screenplay, Lawrence Kasdan and Simon Kinberg will consult with their decades of respective Star Wars and genre movie expertise, and Abrams will, in the words of newly installed Lucasfilm president Kathleen Kennedy, direct from his “intuitive understanding of this franchise… He understands the essence of the Star Wars experience, and will bring that talent to create an unforgettable motion picture,” presumably one that remembers to include spaceships and people fighting within and without those spaceships, as is the essence of Star Wars. George Lucas also chimed in, saying of Abrams, “He’s an ideal choice to direct the new Star Wars film and the legacy couldn’t be in better hands” as he went back to puttering around his garden, replacing all the azaleas with more advanced digital versions. Anyway, now that the director is finally confirmed, the Star Wars rumor mill can resume its normal course of speculating over who might appear in it and what the story might concern—details that were just placed under even tighter lock and key, given Abrams’ notorious secrecy. Another factor of hiring Abrams: That 2015 release is no longer a certainty, given that The Hollywood Reporter says he hasn’t committed to that date, and, as he did with Star Trek Into Darkness, he could delay it, if he feels he needs the time. And given that Abrams has maintained his usual busy schedule in addition to landing Star Wars—agreeing to produce more Mission: Impossible and Star Trek movies for Paramount; developing pilots for that previously reported robot buddy-cop procedural over at Fox, and another one at NBC about a supernaturally gifted girl—there’s a reasonable chance we’ll have another two full years of talking about what might happen in the next Star Wars. We may all have to start dipping into more obscure references to sustain that conversation.